MONDAYS Click here to download flyer with contact details to book. Click here to download flyer with contact details to book. Click here to download flyer with dates and times for 2018. Merged with Coburg and alternates on a weekly basis. 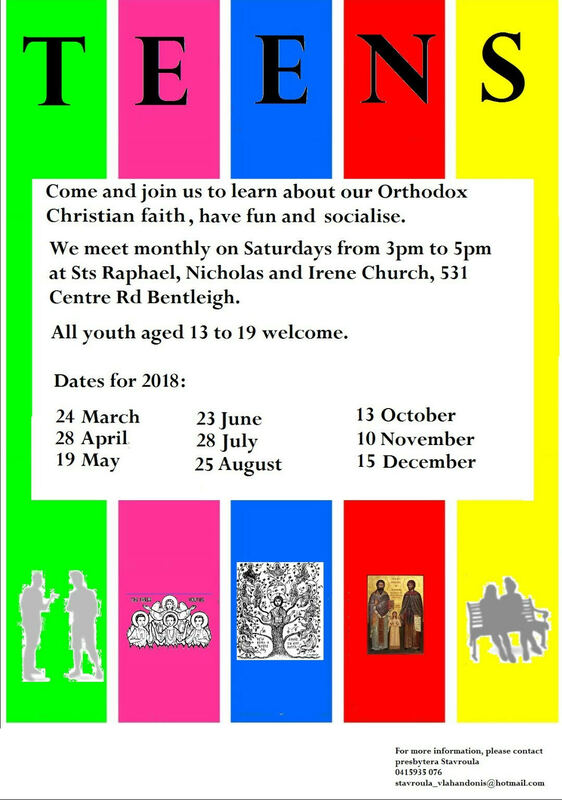 Every 2nd TUESDAY (alternates with Coburg) 7.30 p.m.
BRUNSWICK, Saint Basil Church: Young Adults and Married Couples Group. Every 2nd WEDNESDAY 7.30 p.m. Merged with Brunswick and alternates on a weekly basis. Every 2nd TUESDAY (alternates with Brunswick) 7.30 p.m.
At the moment there is no hall to conduct the fellowship, so it's on hold untill further notice. Anyone wanting to attend fellowship the closest ones are Oakleigh or Bentleigh. 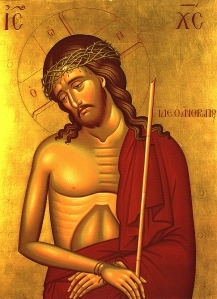 THURSDAYS 6:00 - 7.00 p.m.
We cover topics such as sayings of the Holy Fathers and Saints of our Orthodox Church, we examine the meaning of our Liturgical year and its ceremonies and rituals, we also study and discuss according to the teaching of our Church the weekly Gospel and Epistle readings. Open to people of all ages. Cnr Porter & Church Rd (ph: 9846 4066 or email saintharalamboschurch@gmail.com for dates). Once a month on a SATURDAY 3-5pm. Gold coin donation. For kids in grade 4-6 (10-12 years old). Cnr Porter & Church Rd (ph: 9846 4066 or email saintharalamboschurch@gmail.com for dates). Once a month on a SATURDAY 3-5pm. Gold coin donation. For High School Aged kids. Cnr Porter & Church Rd (ph: 9846 4066 or email saintharalamboschurch@gmail.com) WEDNESDAYS 9.30-11AM in the lower church hall. For Pre-school aged children 0-5 years old. Gold Coin Donation. Every Sunday after the Divine Liturgy in the lower church hall. Gold coin donation. All are welcome. THOMASTOWN, Transfiguration of Our Lord Church: Greek dancing lessons for primary (Juniors group) and High School (Senior group) Students by a proffesional dance teacher employed by the parish. The lessons at the moment are offered for free to the community. Every Thursday 6pm-6:45pm for juniors group and 7pm-8pm for seniors group.